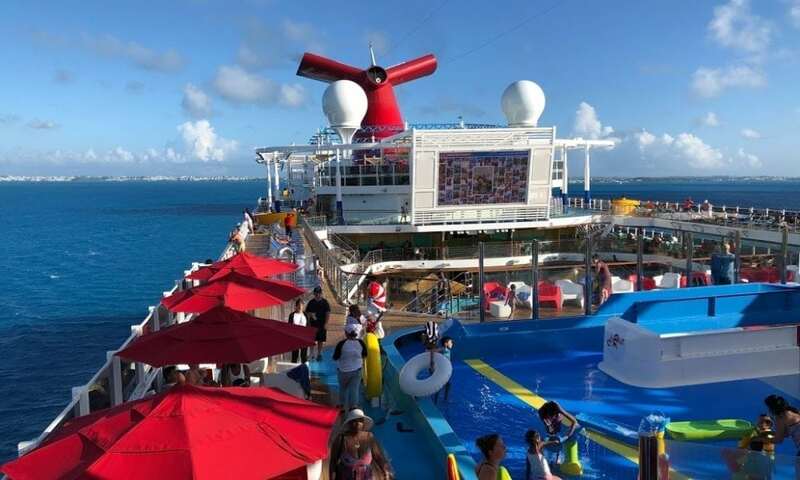 In a move that should help Carnival Cruise Line’s passengers stay better connected while at sea, the cruise line signed a new contract with a company which is looking to improve internet service for both guests and the ships on which they sail. The domes on top of the cruise ship will link to 40 satellites orbiting the earth. Over the past few years, every cruise line has worked to improve connectivity at sea. Because these days, a vacation isn’t a vacation unless you have access to Twitter, Instagram, Facebook and Snapchat as well as the ability to stream that show you’ve been meaning to binge. And while accessing the internet from the middle of the ocean was once considered as impossible as it was unnecessary, it’s now expected. But what does that actually mean? According to the details of the contract, Carnival will be making a substantial increase, investment wise, in their communications system. Speedcast’s release touting the deal indicates that this means that the “bandwidth delivered to the fleet [will be] increased significantly in order to provide… guests with a high-quality internet experience.” By utilizing 40 satellites, Speedcast will be able to provide the largest dedicated maritime satellite network in the world. Fun Hub onboard a Carnival Cruise Line ship. As the result of a four-year development program, Speedcast has developed a system called TrueBeam which will give Carnival’s fleet of ships enhanced connectivity. What the system essentially does, in layman’s terms, is look for weaknesses which will impact the internet signal and instantly reroute it in order to avoid (or at least minimize) interruptions. Those interruptions might include weather (or what’s called “rain fade”), line-of-sight blockage and overcrowded networks.